Anybody Interested In A July 4th Fireworks Ride? We’ve been toying with the idea of hosting a July 4th evening ride to Breckinridge Park to watch the fireworks. We could roll out earlier to set up blankets and catch the band before the show. 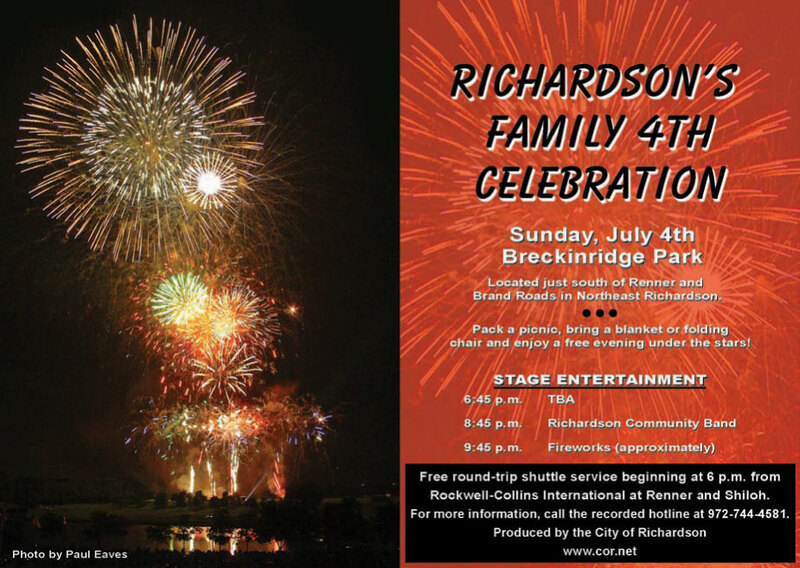 Our only worry is that the event actually happens on Sunday, July 4th, when most folks already have plans. This would also be a night ride (coming home) and we’d have to deal with a bit of extra car traffic. Of course, we’ll find the best route possible. IF you are interested in getting together for a Fireworks Ride, let us know by posting here, Facebook or email. Let us know by the end of the week so that we have time to make plans. Thanks for the info, John. I’ve thought about Kaboomtown as well, but was originally wanting to keep the BFR event local. Since there are already bike groups going to that, I may want to push a tag-along with them instead. Having a ride on the 3rd makes more sense – keeping the actual holiday for families.